With October now arrived, it can only mean 1 thing for beer-lovers.....Oktoberfest! 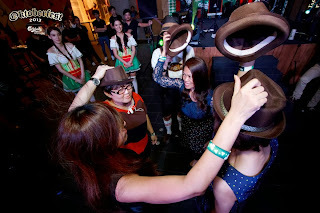 Carlsberg Malaysia recently had a launch party at Pavilion's La Bodega and Weissbrau to officiate it's German influence onto Malaysia's Oktoberfest scene. Throughout the big cities and small towns of Malaysia, Carlsberg promises an endless flow of beer and fun. Known as the country's most authentic Oktoberfest, Carlsberg Malaysia Oktoberfest 2013 is a beer extravaganza that offers it's beloved beer, Carlsberg as well as 3 other imported Bavarian beer brands, Erdinger, Franziskaner and Lowenbrau, served in a collectible rugged-style stein that customers can take home and add to their collection of the past 2 years of Carlsberg Malaysia's Oktoberfest mugs. Also on location at certain Carlsberg Malaysia's Oktoberfest 2013 venue will be the presence of specially flown in from Germany 6 person Oom-Pa-Pah band belting out their traditional Oktoberfest jingles and not forgetting the 12-foot long alpine horn from Germany which is the first of its kind in Malaysia. This loooooooong horn has successfully made it into the Malaysian Book of Records as the 'Longest Carlsberg Malaysia Oktoberfest Longhorn'. At the launch, the campaign was officiated with the tapping of the ceremonial keg by Managing Director of Carlsberg Malaysia Henrik Andersen along with the brewer's subsidiary Luen Heng F&B Sdn Bhd General Manager, Kenneth Soh, Vice President Passenger Cars, Mercedez Benz Malaysia, Mr. Kai Schlickum and Ms. Joyce Yap, CEO Retail of Pavilion KL. 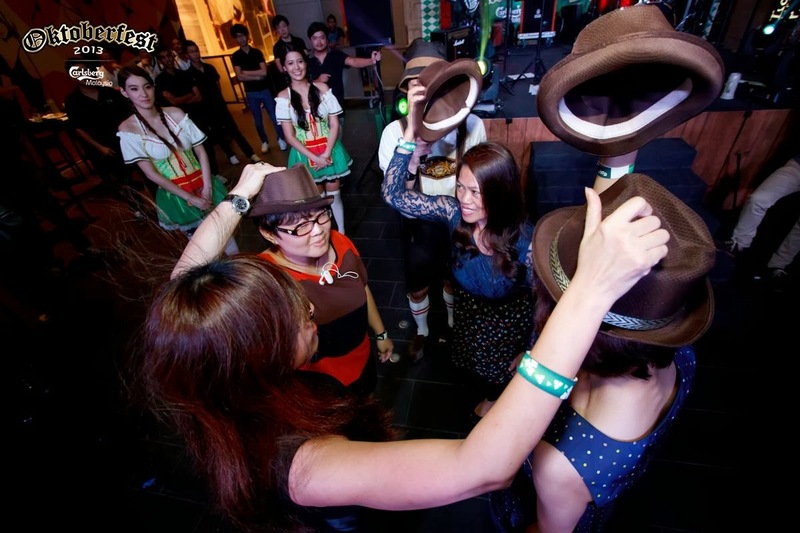 Besides the 'Chicken Dance', fun-filled games that involves the Oktoberfest revellers to join in were played as well such as hat switching and arm wrestling. got do chicken dance or not?